The Best Beef in Town. written by Entertainment & Technology! on Feb. 8, 2019, 2:34 p.m.
very delicious and tasty food at cheap Price.the coleslaw is signature of Liberty burger.I love it. written by shahmir Ali on Feb. 8, 2019, 2:20 p.m.
Ganda Aur Ghatiya Food ..
written by Muhammad NouMan on July 9, 2018, 5:46 p.m.
best of all tried. Great staff... perfect taste ???? written by Rafay Malik on Dec. 13, 2017, 8:04 p.m.
written by Iftikhar Alam Khan on Dec. 8, 2017, 10:56 p.m.
written by Muhammad Hassan Riaz Yousufi on Nov. 6, 2017, 12:31 p.m. 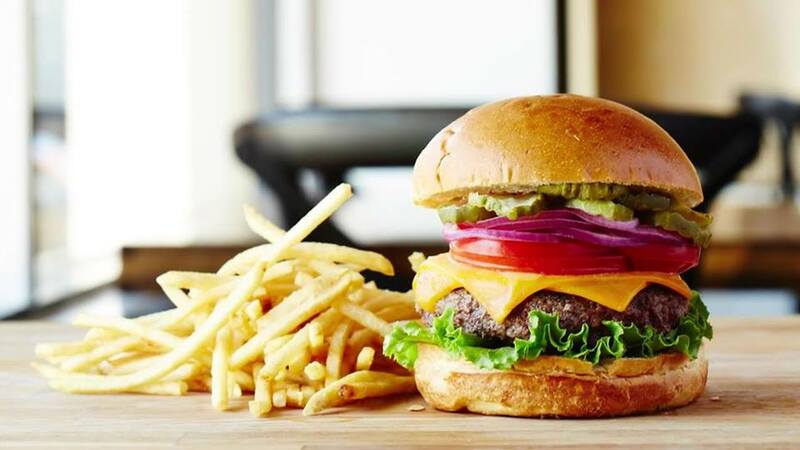 If you are like us and tired of all the fancy burger joints in the city, then we have got this wonderful restaurant for you that makes the most divine burgers. Although we are sure that this place needs no introduction because everyone who has ever been to Lahore knows about it. The place is none other than Liberty Burger. Before we got accustomed to McDonalds and KFC, this was the go to burger joint for all Lahoris. A trip to liberty market is incomplete without munching their heavenly burgers and fries. They are a great example of how high prices do not indicate good quality as Liberty Burger is a clear winner in terms of consistent quality and taste when compared to many high priced eateries. Other burgers on the menu are the classic chicken burger, beef burger, beef burger with cheese, and the very famous shami burger. You will never get bored of these burgers, that’s for sure because their taste is unlike any other. The fries are also crispy, crunchy and oh-so-addictive. Besides these finger-licking burgers, you have the option to get their sandwiches too. There is the classic chicken sandwich, club sandwich, and club sandwich with cheese. These sandwiches are perfect for times when you need a change from your routine meals. Sit back, relax, and order that burger ASAP! Before you complain about your hectic schedules and how it’s cumbersome to go all the way to Liberty for the best burger in town, let us assure you that you won’t have to go anywhere. That is because you have Cheetay in your life. With Cheetay you can order your food without leaving your house and for that all you have to do is visit Cheetay’s website or download its app. Leave the rest to our Cheetah’s as they bring your food in a flash.